I thoroughly enjoyed reading all of the blogs from the Compassion team. So glad you all made it back safely and in one piece. You know, the canoe didn’t overturn, no run-ins with snakes or monkeys. What a difference you guys made in the lives of the people of Ecuador. I know you all were blessed as well. This post is a great example of why i love reading your bog so much!! It’s funny, sincere, and I just can’t get enough of it. Thanks for writing!! So glad you’re back! Thanks for making me cry every morning…in a good way. I’m so happy that you’re home all safe & sound :) Thanks for sharing your adventures with us…I was both riveted and delighted! So glad you are home safe and all in one piece, except for that huge piece of our collective hearts that you forever left behind with those children. Oh goodness, I didn’t realize y’all were going up in the mountains too. I wouls have had a whole ‘nother email of instruction and tips! When I went to Ecuador that’s where we went – Carchi. Near Columbia. I NEVER EVER get car, boat or plane sick but BUS SICK in the middle of the Ecuadorian mountains? yes, mam’m, I do. Then a team member complained of the chilliness of the open bus window and I may or may not have snarled ” better than vomit”. Then my friend sang “and they we will know we are Christians by our love, by our love…”. So glad you are back safe and sound! Thanks for updating us while you were in South America and thanks for your daily wit, humor, laughs, sincerity etc. … and I’d love a fairly wide open expanse of time with you any day, Mz Boo Mama — and didn’t we all lap up your unsolicited thoughts? You have a gift. :) It’s happily true: your writing is phenomenal and hilarious — and you in person? Multiplied perfection. Okay, a perfect day would be lunch and stories with Ann and Boo Mama! You both inspire me and bless me daily! Gosh, I just adore you, Sophie. I love this post. Well, and all the other ones, for that matter. I always knew I could thank you for being “my pretend friend from the Internet” but now I can thank you for my new favorite word: “snereal.” You’re a blast! A Grateful People is also one of my most favorites! I can sing EVERYBODY’S harmony on “Take Me There” at the top of my voice. And that makes me happy. I enjoyed so much reading about your trip. You’ll never be the same. I am so happy you’re home, safe and sound! I loved following what you all were doing! It was wonderful! Thank you, thank you for sharing! Oh, I feel for Melanie. All those smells combined for “profound olfactory overload” plus a bus ride through the mountains? It makes me nauseous just thinking about it. I would have been discussing the food for sure. I bet I could listen to Ann talk about trees all day long, too. SO glad you are back safe and sound! Oh and about the car sickness??? I am so sorry…I am just so sorry…so sorry. A classic Boomama post…warm, witty and so much fun to read! Bless you! Do you find it heartwarming that I’m eating some Xtra Cheddar Goldfish right now as I read this? 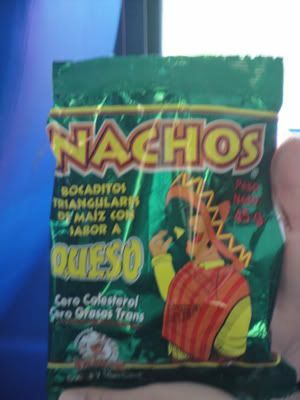 From now on they are Mega Queso Goldfish. So how many packages of Gudiz did you bring home? I just LOVED this entry. Just the right amount of serious and snarky. Welcome home. Please leave me some Gudiz. Lots and lots of Gudiz. I’ve been a very good girl this year. I can relate to the diesel smell. That’s how it smelled for us in Guatemala too. Strong with so many cars!! thank you. i love the way you all went on the *same trip* yet saw it through your own lenses. THAT helps me see Jesus. And I litterally laughed out loud. I need that just as much as I need to see that trees are awesome. 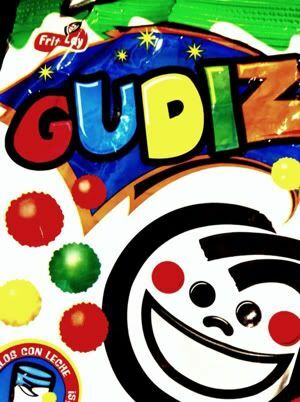 I love that Gudiz is pronounced Goodies. It’s like a little Frito-Lay play-on-words. And “snereal” is my new favorite Sniglet. This is exactly how I remember it, particularly the deep theological discussion contrasted with the merits of South American snack food. I’m ashamed to admit which had most of my attention. Welcome back! #11-#17 = priceless! Thanks for taking us down the river and back. I would so love to try the Fruit Loop Cheetos! Welcome home. A Grateful People is one of my favorite albums of all time. I think I would like to vacation with you. Glad you’re home safe and sound! #15 cracked me right up! Snereal. Ha. I LOVE it. Welcome back to Bama land where the tea flows cold & sweet and our cheetos are fruitless. You make me mega queso happy… Yeah that didn’t really make sense. But I am now going to follow you forever thanks to Compassion Bloggers introducing you to me. Thank you for sharing your thoughts. Oh #15 made me laugh so.hard. Thanks for writing!! Okay, don’t take this the wrong way, but I am sort of in love with you right now! LOL I’ve been following you throughout the trip and I’m fairly certain you and I would get along just fine and dandy. The climbing of the stairs and the returning to normal life? No thanks. The loving those kids until they’re little arms fall off? Yes, please! I haven’t been by in awhile since I’m missing a blog roll on my new blog design…and in general have been way busy. It looks like you have been busy as well! I am hoping to hop around and catch up on some of your posts about Ecuador. I imagine if I met Ann in person, I could listen to her talk about trees or what-have-you for the rest of my life as well. That woman has an amazing heart for the Lord…and a true gift with words. Very intrigued with the Gudiz…cannot even fathom what a cheeto/fruit loop would taste like. Interesting! You just about cracked me up! !